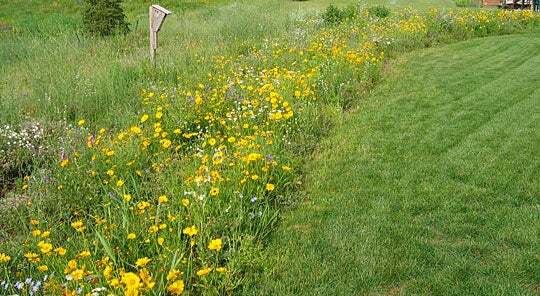 In July, 2008, Member Jim Coleman sent us beautiful pictures showing how he has landscaped his yard with borders and other creative plantings of our wildflower seeds. He defined long display beds on all sides of his yard, and just look at the results! Jim planted our roughly a year before these photos were taken, and then overseeded with the same mix the following spring. 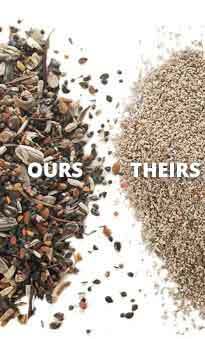 He also added in extra amounts of the family's favorite annuals: , and . These are just beginning to bloom in the photos. 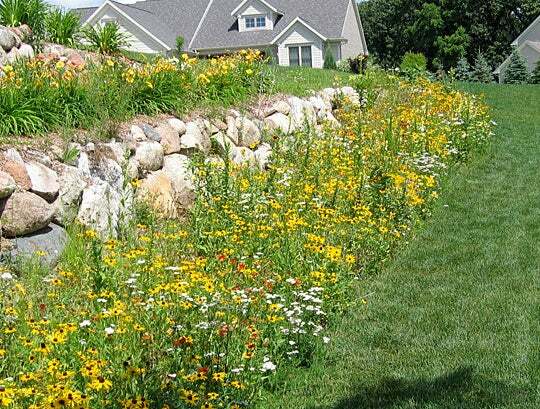 Jim’s use of wildflower seed is a great example of how homeowners can landscape their property creating large areas of color without the tedious labor of perennial borders or the cost of buying garden center plants. And maintenance is easy, too. Whenever Jim mows the lawn, he can quickly "tidy up" the front edge of his borders with just one pass of the mower. Perennials in bloom in the photos of Jim’s borders include , , and , typical of mid-summer bloom, and all results from his successful seeding in 2007. 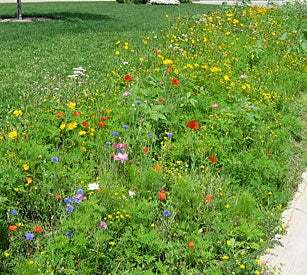 The photos showing annuals (Red poppies, blue cornflower, pink cosmos, etc.) show the results of his second year over-seeding in 08, and show just the beginnings of colorful bloom that will give the plantings increasing color through summer and fall. We really appreciate Mr. Coleman sharing his landscaping talents and photos with all our members.